If your nonprofit is engaged in fundraising activities, it will likely need to file a registration form with every state where it is soliciting donations. Currently, 41 states and the District of Columbia require registration in advance of engaging in any fundraising or solicitation activity. This requirement is known as a charitable solicitation registration. The duty to register applies regardless of what form the solicitation takes. Whether your nonprofit fundraises through a website, social media, texting, grant applications, personal asks, phone calls, direct mail, gives days, crowdfunding, etc. it is considered “soliciting” under the law and triggers a duty to register. What can happen if you don’t comply? As state regulators continue to increase enforcement of fundraising laws, nonprofits that play the enforcement lottery are at greater risk than ever. Failure to comply can result in substantial fines and penalties. In addition, states may bar your nonprofit from soliciting donations within the state. Caritas Law Group, through its affiliate, Caritas Registration, can help your nonprofit determine where it needs to file, whether there are states where filing can be avoided based on applicable exemptions, the Charleston Principles, or by excluding them from solicitations. 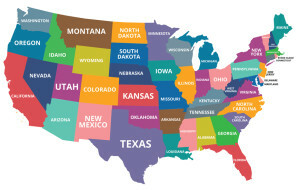 Once the states where registration is required have been identified, we can help you file the proper registrations in all states that require them and keep the renewals up to date. CharityLawyer Blog offers plain language explanations of complex nonprofit law concepts, discussions of current events and links to valuable resources for nonprofits.